Looking to get a quote on an outstanding new Ford car? Then now is a great time to hook up with the team here at Karl Flammer Ford. Regardless of what type of Ford car strikes your fancy, we have no doubts that what you are looking for is currently waiting for you on our lot. What makes this undertaking even better? Asking for a a quote from Karl Flammer Ford not only ensures that you have the chance to take advantage of pricing that is second to none, it is also a fast and painless operation that will never bog you down in long hours of unneeded forms or ostensibly never-ending phone calls with pushy salespeople that are angling to force you into a rushed or hurried purchase. If this sounds like the type of experience you are searching for as you initiate the hunt for the right new Ford car for you, then take a moment to follow along with the Karl Flammer Ford group as we offer up a little bit of additional insight into how we create quotes. Once you have accomplished this, you will have everything you will need to move forward with confidence and get started on the way toward the perfect car, truck, or sport utility vehicle (SUV) for your day-to-day schedule. How Does Karl Flammer Ford Create a New Vehicle Quote for Drivers in Tarpon Springs? Skipping over the Manipulative Sales Tactics – Despite the reality that so many other dealers leverage new vehicle estimates in an effort to hurry customers into an ill-informed decision via hostile or questionable practices, the Karl Flammer Ford group instead places a priority on a hassle-free approach that puts control of this process firmly into the grasp of our fellow community members here in Tarpon Springs. Produced with Your Considerations at the Forefront – Each consumer has distinct constraints that affect both their spending budget and their buying experience, so the team here at Karl Flammer Ford gathers as much data as possible when building a customized estimate to make sure that this offer conforms exactly to your distinct needs and considerations. Access to Accredited Ford Professionals – Only experienced Ford finance experts that have years of experience and training are permitted to carry out the actual undertaking of designing an individualized new vehicle estimate for you. Your Privacy Matters to Karl Flammer Ford – Once you have zipped through the fast and straightforward new vehicle estimate form we have presented on this page, you can rest easy knowing that your personal info is treated with the attention, consideration, and confidentiality required to guarantee that you will never be placed into a troubling position in the online world. After going over all of this information, one thing should be abundantly apparent: Karl Flammer Ford is ready and willing to ensure that we always offer up the most reliable, cost-effective, and consumer-friendly new automobile quote policy in the auto landscape. Outside of offering up the most reasonable and customer-centric new vehicle estimate system in Tarpon Springs, the staff here at Karl Flammer Ford also refuses to stand by complacently if you come across a more attractive price. Improbable though this occurrence might be considering how dedicated the Karl Flammer Ford team is to providing you with the best price quote possible, there are some occasions when such an uncommon occurrence might pop up. Should you find yourself in this position and come across a competing dealer that offers you a better deal on the car that garners your attention, feel free to give us a heads up as soon as possible so that we can get the ball rolling on making things right. After bringing this issue to our attention, the team of respected auto specialists found here at Karl Flammer Ford will do all that they can to not only meet this price point, but also offer up a suggested automobile price that brings even more benefits to you. The best part about our promise to our friends in Tarpon Springs? Each and every car found within our inventory is subject to this steadfast commitment to your satisfaction, so you can take comfort in the reality that the most worthwhile quote for you will always be waiting for you at Karl Flammer Ford. Naturally, taking this customer-centric approach to new car price quotes is far from the industry norm. However, when the discussion turns toward doing what is best for customers here in Tarpon Springs and supplying the fairest and most affordable quotes possible, nothing but the best is acceptable for interested customers who bring their business through our front doors. How Do I Receive My Individualized Price Estimate on a New Ford Automobile? 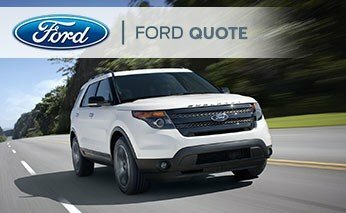 Now that you have a better understanding of how the Karl Flammer Ford team produces quotes for shoppers here in Tarpon Springs, we really only need to speak about one last thing: How you can enjoy all of the benefits that come with obtaining a new car estimate from the professional Ford team here at Karl Flammer Ford. To get things going on this front, all you have to do is complete the form we have provided on this page. After your info has been provided, one of our dedicated professionals will get to work on crafting the best possible offer and returning this price to you as soon as possible. As always, thank you for paying a visit to the Karl Flammer Ford site. Should you find yourself facing down more concerns, feel free to reach out to our trained staff via (727) 937-5131 or stop by in-person to find out a little more about why more and more people in the Tarpon Springs area are driving right pass the competition and coming to Karl Flammer Ford for their new vehicle purchasing needs.